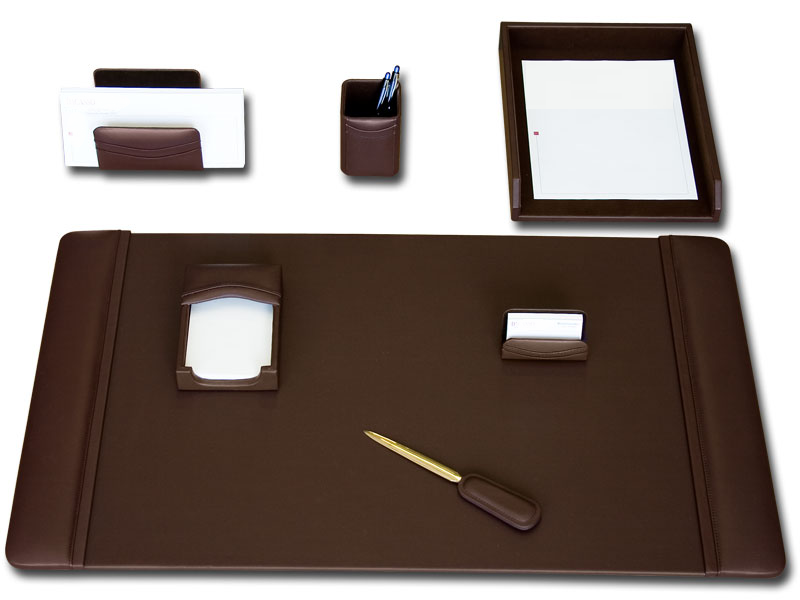 Beautify your office with this chocolate brown desk set, the rich color of the desk set allows the natural beauty of top-grain genuine leather to show through. It adds a classic style to any office design. This desk set may be custom tailored to fit your specific needs to make a perfect business gift.  Leather Memo Holder - 4" x 6 "
made with top quality genuine top grain leather. You can include recipient's name, initials, your company name or logo.